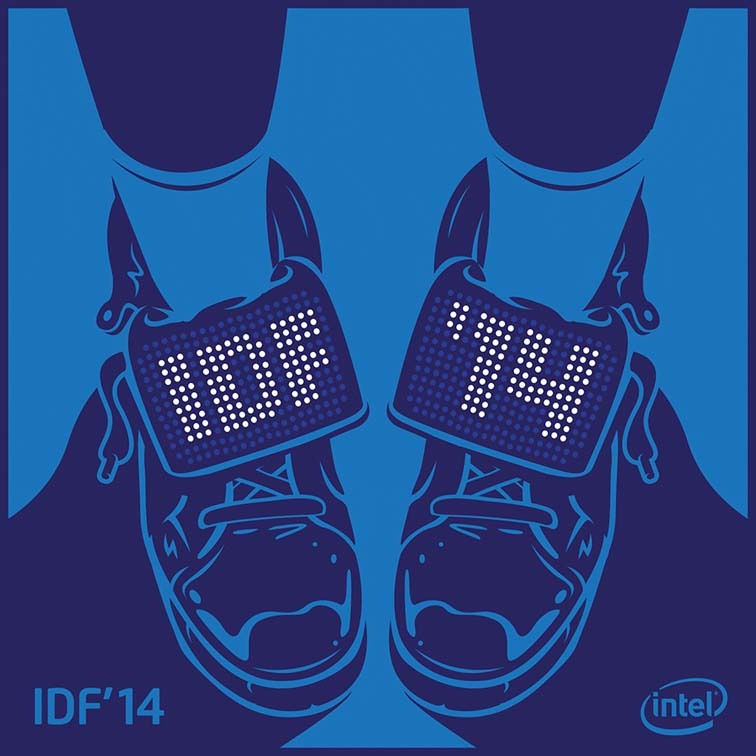 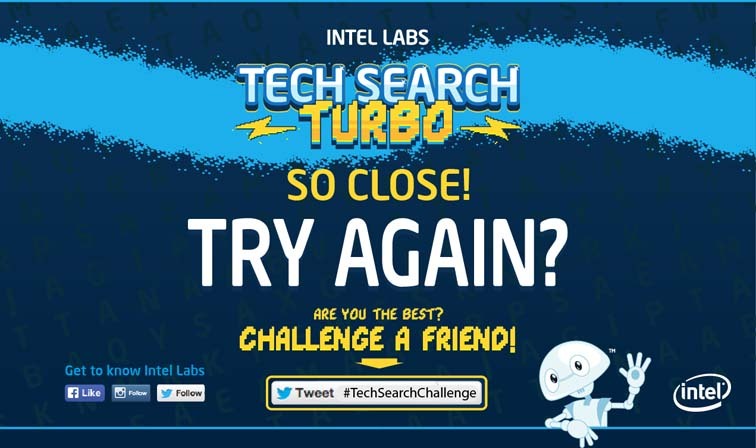 Intel Labs wanted a fun, engaging way to promote their upcoming Intel Developer Forum. 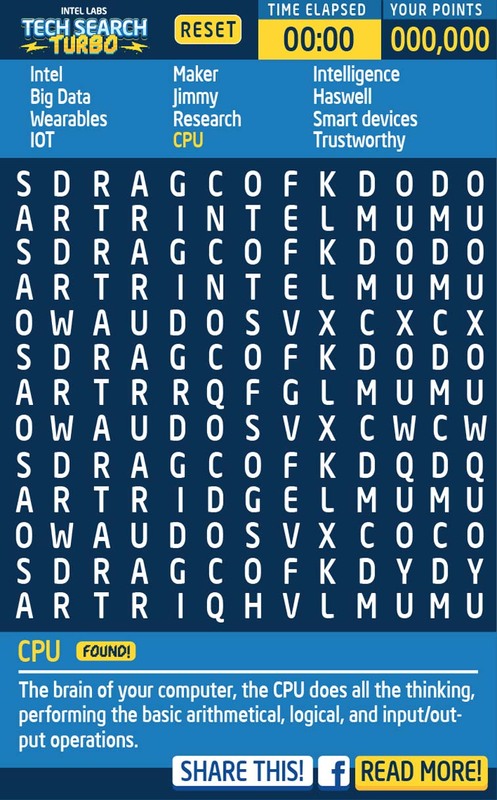 What's more fun and engaging than a game? 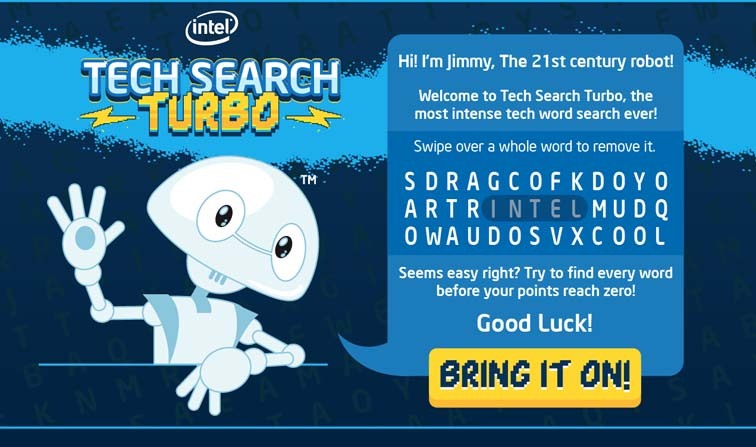 JESS3 designed and built this word search using Intel vocabulary, and we dare you to beat our high score. 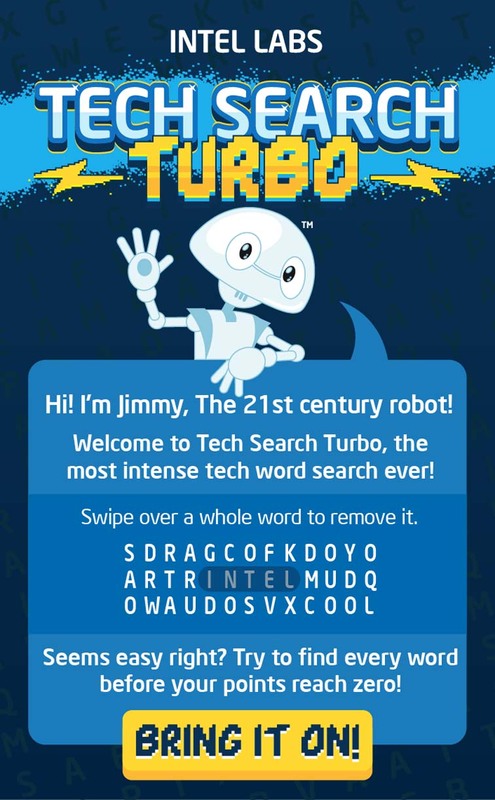 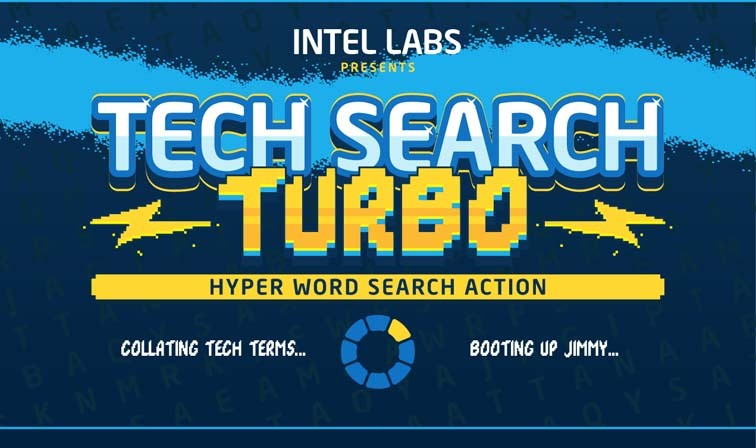 Facebook write-up: Intel Labs wanted a fun, engaging way to promote their upcoming Intel Developer Forum, so JESS3 designed and built this word search using Intel vocabulary. 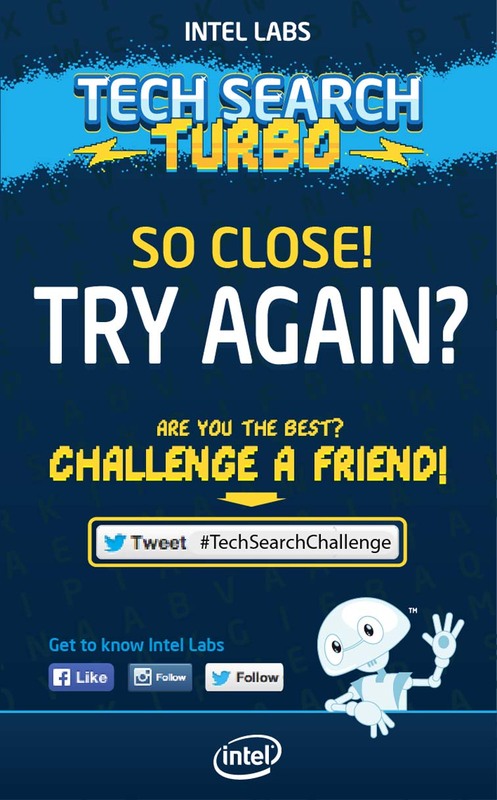 The real question is: can you beat our high score? 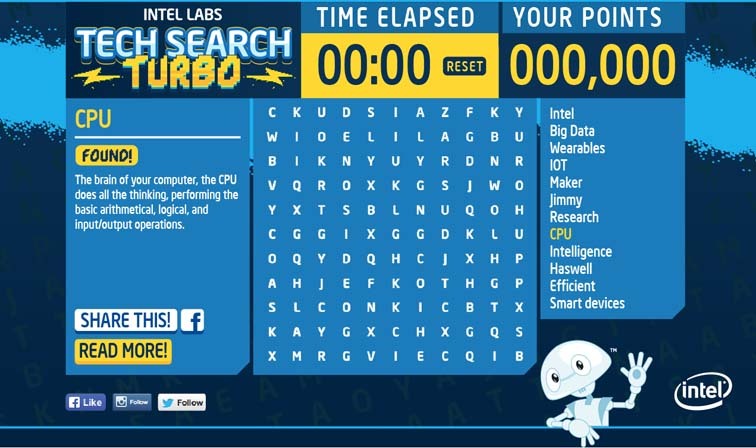 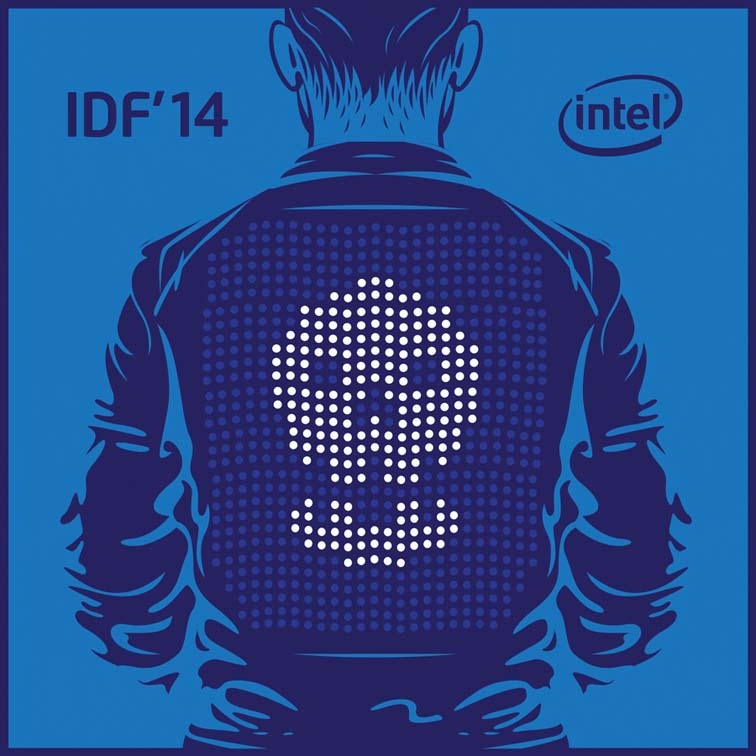 Twitter write-up: We designed this addictive word search to promote @IntelLabs' Intel Developer Forum - can you beat our high score?